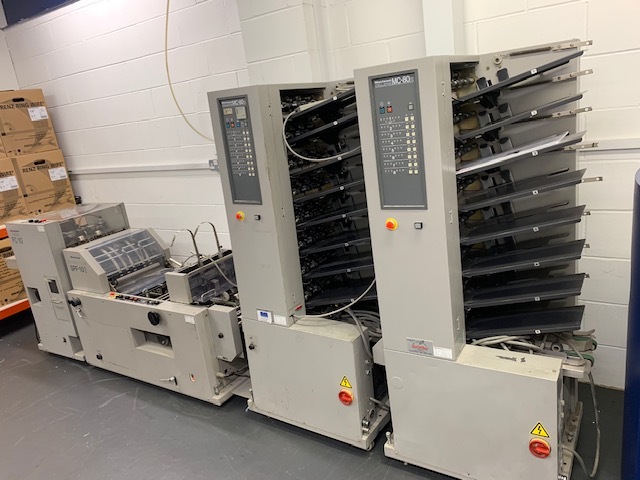 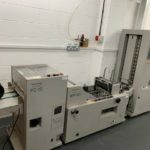 Binding Store are pleased to offer this great condition heavy duty booklet maker including a MC-80A collator and a MC-80M collator (8 station suction collators) Fitted with 2 Stitch heads and 2 spools of stitching wire to allow various sizes of booklets to be stitched to the highest standard. 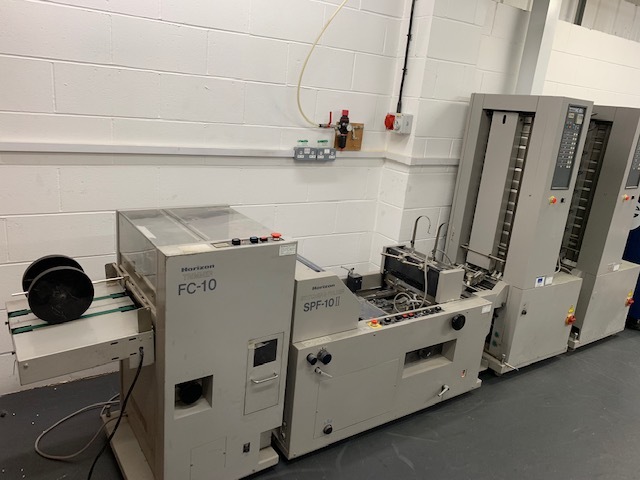 The SPF-10 II is capable of producing top, corner and saddle stitching with or with out folding. 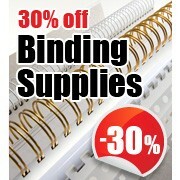 If you require any further information or wish to book a viewing please contact Binding Store today.